Insects play a crucial role in the ecosystem. Most of them are harmless, but some can be potentially harmful. Although small in size, these insects can be very dangerous at times. Bites of certain insects can prove to be very troublesome, painful and sometimes even fatal. We take a closer look at some of these deadly insects and try to know more about them. They are large, biting flies found in mid continental Africa. They mainly feed on the blood of vertebrates which is the reason they are excessively dangerous. They spread the disease, trypanosomiases in humans by biting their victim and passing it through their mouth parts. At the primary stage, the venom of tsetse flies would makes sleeping sickness on the victim. But it may lead to fatality without proper treatment. It is estimated that about half a million people lost their life by the attack of tsetse flies in Africa. Killer bees are also known as Africanized honey bees. It is one of the very aggressive and dominant insects in the world. The group of killer bees follows the victim for more than 1 mile. The killer bees mainly target the face and eyes of humans. The killer bees mainly target the face and eyes of humans. In fact, their toxin is not so dangerous but an attack by group of killer bees could cause even death. Interestingly, they were produced originally by cross-breeding of the African honey bee with various European honey bees and were first introduced to Brazil in the 1950s, in an effort to increase honey production. But in 1957, 26 swarms accidentally escaped quarantine. Since then, the species has spread throughout South America and parts of North America. Hornets are types of wasps who mostly live by making nests in trees and shrubs. Asian Giant Hornets are the world’s largest hornets which can measure upto around 2 inches in length. Giant Japanese Hornet is a subspecies of the Asian Giant Hornet. Japanese hornets are very aggressive and fearless in nature. The venom of Japanese hornet would cause an allergic reaction and dissolve tissues within the short time. 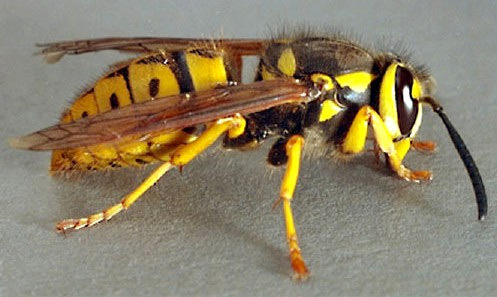 The repeated stinging from the group of hornets could also results in death. They are very venomous insects found in North America and certain parts of South America. The name widow is inspired from the fact that female eats the male after mating. The bite of a Black Widow spider can be extremely dangerous because of the secretion of a neurotoxin called latrotoxin which causes extreme pain in humans and even death if left untreated. 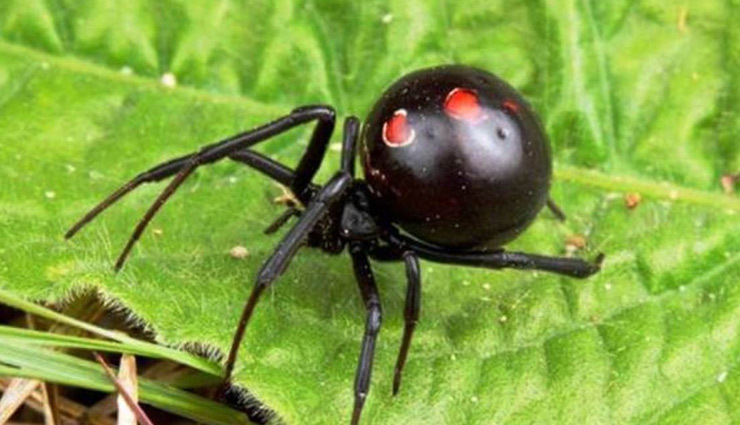 The female black widow has unusually large venom glands and its bite can be particularly harmful. The human bot flies mostly found across Central and South America Human botflies have larvae that can transmit life threatening parasites to humans. Also known as torsalo or American warble flies, human botflies are typically transferred by mosquitoes and ticks. When a mosquito carrying the larva of a human botfly lands on the human skin, it drops off the larva onto the skin and leaves it there. After a few days, this larva develops under the layer of the skin and may cause serious infection if not immediately treated. ‘Myiasis’ known parasite infestation makes severe changes in skin tissues.